I really like the saying "work smarter, not harder". There are obviously areas of life where this doesn't apply, but in may ways, you can save yourself a lot of time and energy by figuring out a better way to do things. My favorite example is modern technology. It's there to make our lives easier. I use my phone to navigate pretty much anywhere and everywhere. I've learned that if my Google maps app tells me to take a left when I usually take a right, I should probably do it because it's likely navigating me around traffic that I'm not yet aware of. Why drive 10 minutes when I only need to drive 5? Work smarter. 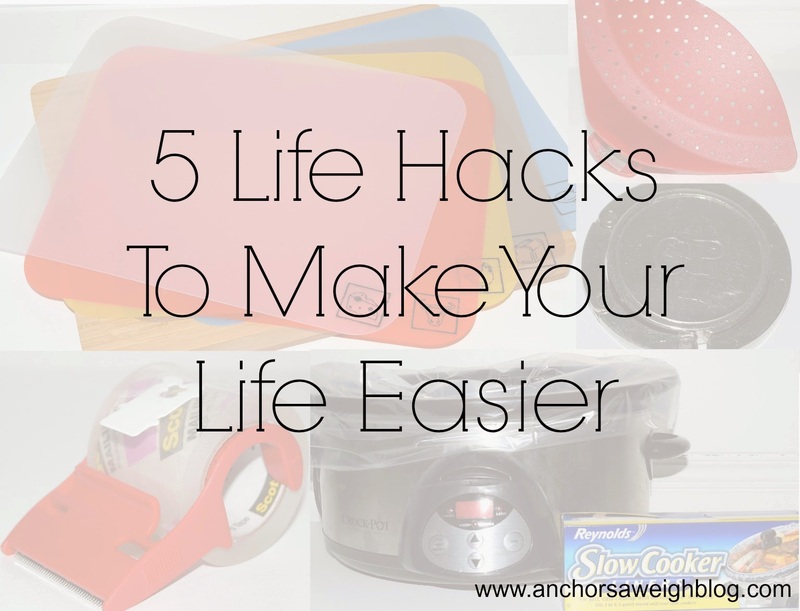 I thought I would share my 5 favorite life hacks to make your life easier. I feel like I am basically the poster child for all of these because they are so simple yet SO effective! I like saving time. Saving time usually leads to saving sanity. My mother-in-law introduced me to this. She actually brought it to a gift exchange over Christmas, but I thought it was just a normal cutting board and immediately wrote it off. Later that evening I saw her using it, and my opinion instantly changed. There are little chopping mats that fit on the top of the cutting board for you to use if you need to cut multiple items. I dislike having to use 3 different cutting boards if I am cutting meat, veggies, and bread, and this set solves that problem. The best part? The mats are dishwasher-safe, so I just stick the mats I used in the dishwasher and never have to worry about washing the giant wooden cutting board. If you spend a lot of time in the kitchen, I cannot recommend this product enough. You can buy it here. Many of you have probably heard of these, but they save SO much time cleaning up that I thought they were worth highlighting. Cooking in the crock pot already really simplifies things. Dinner is ready when you get home and you don't have to worry about tearing your kitchen apart in the process. The one downside of the crockpot is I usually have to soak it for a day or so before I can get it clean. Enter: crockpot liners. Line your crockpot before you pour in your ingredients, and then you can just remove the liner and throw it away when you've finished. I quickly rinse the crockpot, and it's good to go for another meal. Easy peasy. My mom introduced me to this one, and I love it. 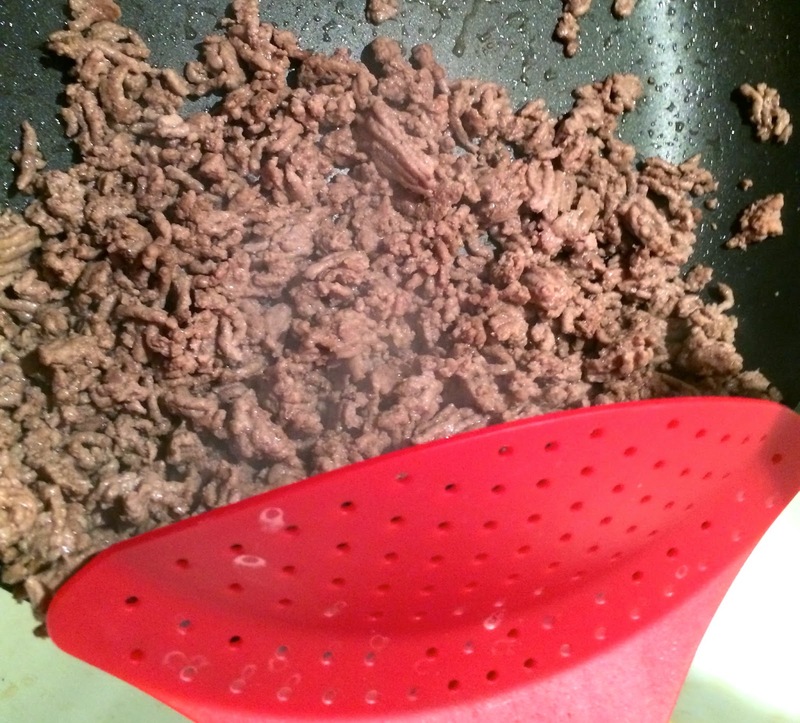 I don't like having to drag out the strainer every time I brown meat or cook pasta, and this clip means I don't have to. You just clip it to the side of your pot, drain it over your sink, and throw the clip in the dishwasher. It's small and easy to store, but it has worked on every pot I've used it on and doesn't cause the meat or pasta to spill out. You can buy one here. I was given this as a bridesmaid gift back in 2012, and it has been a game changer. It rests on the edge of a table, and you can hang your purse from it. I don't like to set my purse on the floor at restaurants or bother with having it in my lap, so I use the purse holder and hang it next to me on the side of the table. I've had this for almost 3 years and wish I knew the exact place my friend ordered it from. She got it off of Etsy, and there are hundreds of vendors out there who sell these. Of all of the life hacks, this one is my favorite. This one won't change your life, but it will save you some frustration when you cannot get the edge of the tape to come up. We always have packing tape lying around since we move every other minute, and I feel like I waste so much tape breaking it into little strips when I am just trying to get a piece. I place a tab like the ones you find on bread at the end of the tape, and my problem is solved. What are some of your favorite life hacks? These are great!! I especially am going to be putting the "tab onto the tape" into practice ASAP!!! I place a paper clip at the end of my tape so I don't have to dig for the end piece. That purse holder is so genius! Those are all pretty awesome life hacks! I can't think of any right off the bat though, boo. I definitely need those cutting board covers in my life! How do the knives not cut through them? So cool! I have that strainer in my shopping cart on Amazon right now- it's one of those things that I want but we don't really need-need, but I'm glad to hear you like it and it works well that might push me over to actually purchasing it. I have a purse holder and it's awesome! I hate sitting my very expensive purses on the floor so that helps me put my mind at ease! I need the crockpot liners! I hate having to soak the silly thing for days after using it.